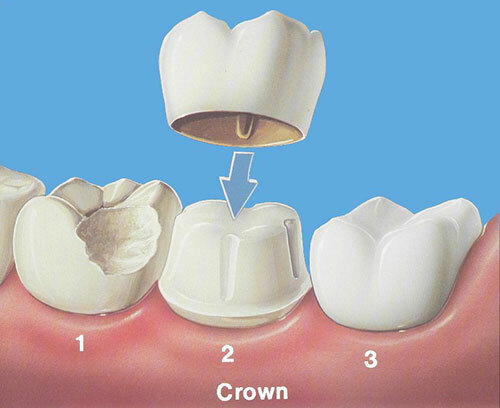 Dental crowns are synthetic caps, usually made of a material like porcelain, placed on the top of a tooth. Laser + Holistic Dental prefers to use Ziroconia dental crowns due to biocompatibility and cosmetic advantages. Dental crowns are typically used to restore a tooth’s function and appearance following a restorative procedure such as a root canal. When decay in a tooth has become so advanced that large portions of the tooth must be removed, crowns are often used to restore the tooth. For more information about dental crowns – we recommend you download the FAQ here. 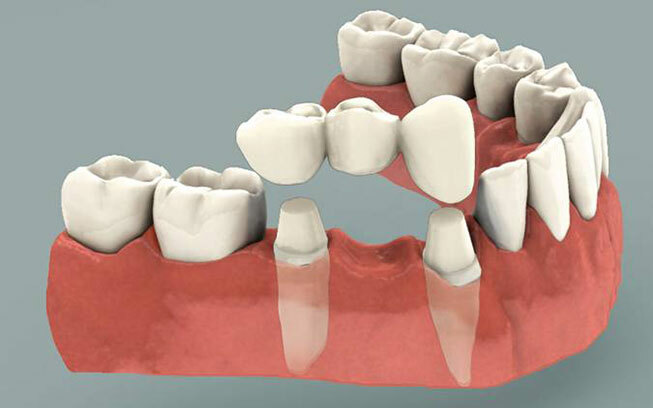 For more information about dental bridges – we recommend you download the FAQ here. Certain behaviors such as jaw clenching or bruxism (teeth grinding) significantly shorten the life of a crown. Moreover, eating brittle foods, ice or hard candy can compromise the adhesion of the crown, or even damage the crown. Talk to your dentist about how to best care for your crown. Please submit your details below to receive an emailed PDF of the common FAQs relating to dental crowns and bridges.